The FAST Bump Stager provides improved staging accuracy by allowing users to access the patented “transcreep” function found in FAST XFI without the added expense of converting the vehicle to a full XFI system. 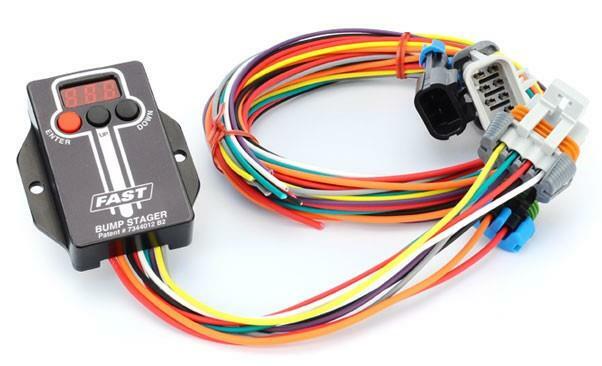 Available as a complete kit, the Bump Stager lets drag racers carefully pulse the transbrake. 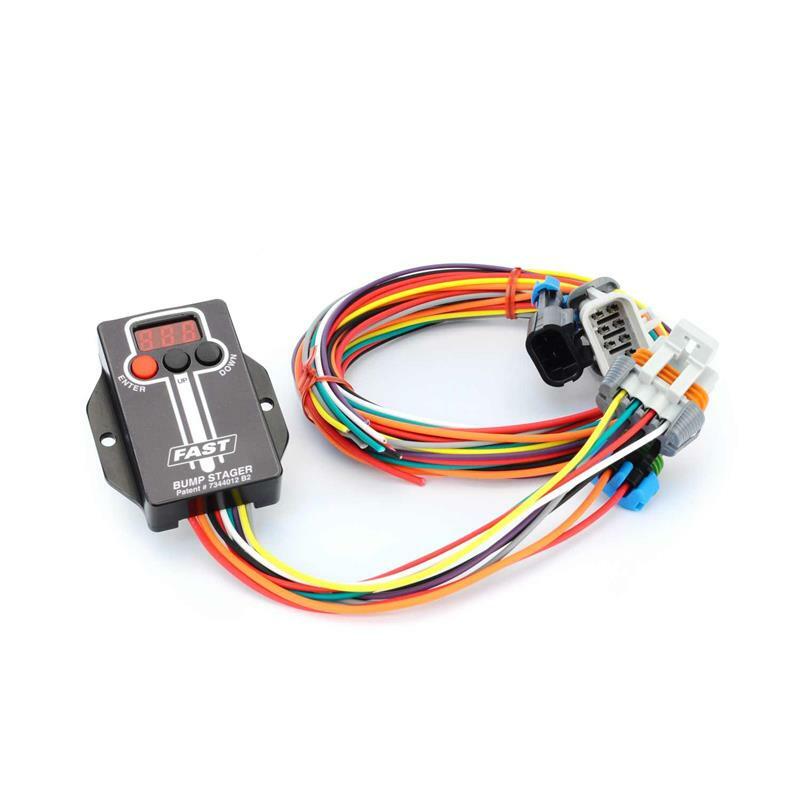 This enables the vehicle to move forward slowly during staging, creating a higher degree of repeatability than racers are able to achieve manually. The complete kit comes with everything needed for use, and a built-in 20-amp driver removes the hassle of wiring an external relay for most applications. It can be used in carbureted applications or with any aftermarket EFI system.